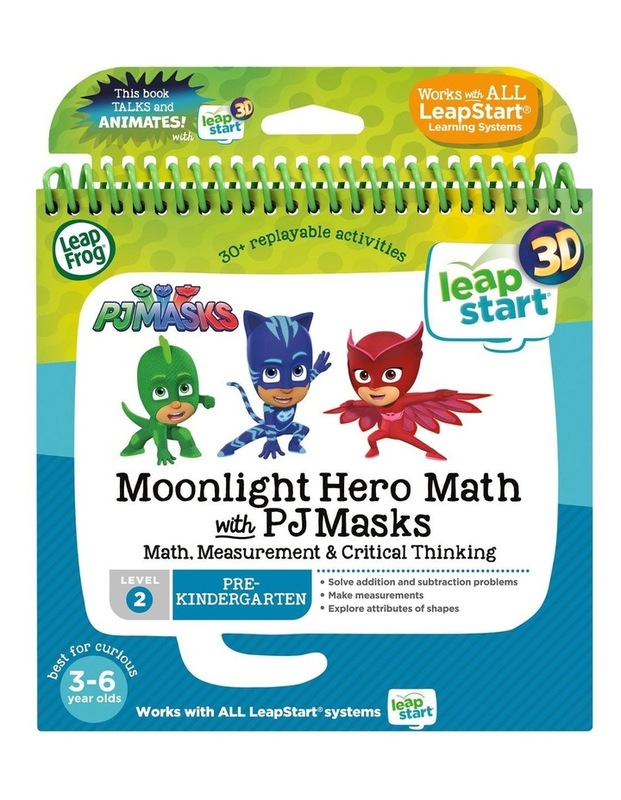 Team up with the PJ Masks to defeat Luna Girl and Romeo on a mathematics-filled learning adventure with the PJ Masks activity book for all LeapStart systems. 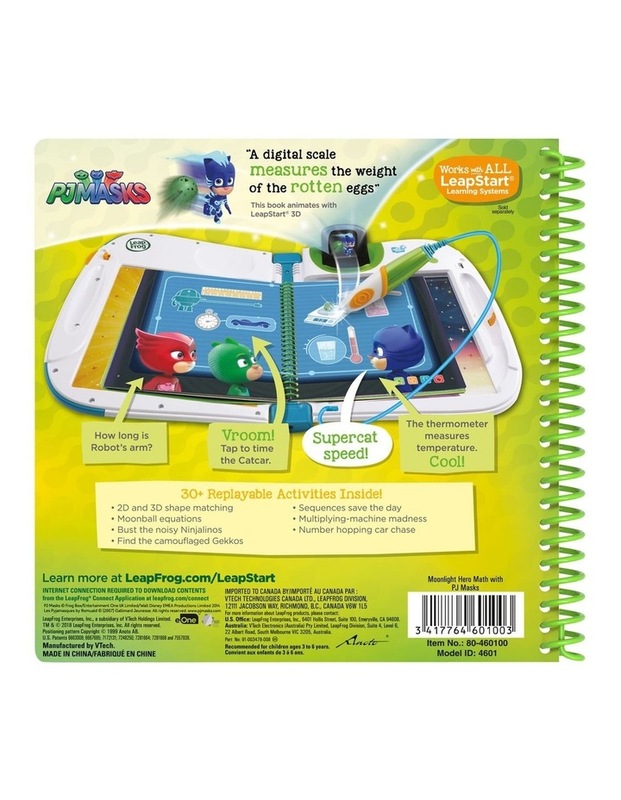 Tap the pictures and words on every page with the stylus to magically bring the activity book to life and then enhance the learning with amazing 3D-like animations when played with LeapStart 3D. 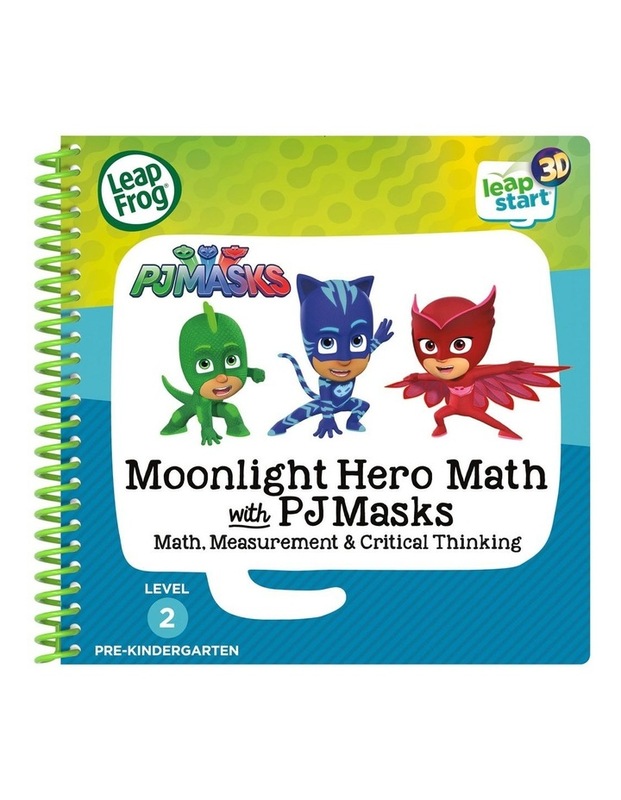 This book featuring your favourite nighttime heroes teaches school skills such as early maths, measurement and geometry, and builds life skills such as logic and critical thinking. Some activities are designed with two levels so that kids can play and learn at the right level and move up when they're ready. Earn reward stickers for mastering activities and place them on the My Rewards page.